1985: Santa Barbara's Mason interrupted C.C. and Gina's wedding. 1993: All My Children's Kendall Hart arrived in Pine Valley. 1994: All My Children's Maria and Edmund were married. 2013: Dallas' Ewing family mourned at J.R.'s funeral. 1966: On Another World, at the dance, Dr. Joe Bernardi (Joe Bennett) encouraged Lee Randolph (Gaye Huston) to see the man underneath the doctor, then discouraged her from speaking to Dr. Farmer about John. He wouldn't let her use his medical opinion to invalidate Pat's unease over Mike visiting John with business. After Mike Bauer (Gary Pillar) left, John laughed and said Pat should be delighted if Lee were interested in both Mike and Joe, since one was a lawyer and the other a doctor. Mike tensed up when Emily mentioned Lee, then revealed Pat had sort of posted an "off limits" sign tonight on Lee. After a heap of friendly praise from Lee, Joe took her hand and made her close her eyes as he explained his true feelings. Embarrassed, Lee considered him just a friend, then denied that she had given "serious looks" at Mike. 1966: On Days of our Lives, Marie Horton (Maree Cheatham) married airplane pilot Craig Merritt (David McLean), the father of her former fiancé, who abandoned her. This was the first wedding ever on Days. 1968: On Peyton Place, Jill Smith (Joyce Jillson) and Joe Rossi (Michael Christian) were married. 1970: On Another World, Missy Palmer Matthews (Carol Roux) told a devastated Liz Nancy Wickwire) that Bill drowned after his sailboat capsized during a storm. 1980: On The Edge of Night, Sam Dwyer released Draper (Tony Craig) during the train fire believing him to be innocent. 1982: Joseph Julian died at age 71. His soap roles included Joe in As the World Turns, and Vic in Somerset, He also played Wilbur Strake in the first two episodes of the original Dark Shadows. 1985: On Santa Barbara, Mason Capwell (Lane Davies) interrupted C.C. 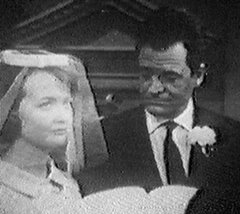 (Charles Bateman) and Gina's (Linda Gibboney) wedding. The clip below if from the beginning of the next episode where Mason explained that Sophia was never declared dead. 1988: On Ryan's Hope, Dakota (Christopher Durham) revealed to Ben (James Wlcek) that Delia was responsible for bringing Nancy Don to New York. 1993: Sarah Michelle Gellar debuted as Kendall Hart on All My Children. 1994: On All My Children, Edmund Grey (John Callahan) and Maria Santos (Eva LaRue) were married. 1999: Longtime Guiding Light actor Stefan Schnabel died at age 87. 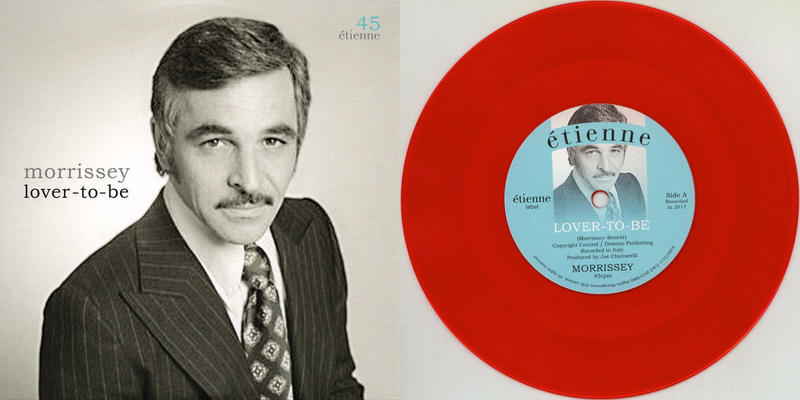 He played Dr. Stephen Jackson (Leslie's father, Rick's grandfather) from 1965 to 1981. 2004: David Tom debuted as Paul Cramer on One Life to Live. 2013: On Dallas, family, friends and enemies gathered to say goodbye to J.R. Ewing, including his ex-wife, Sue Ellen (Linda Gray).